I’ve got a nice relationship going on with More Than Alive. They send me some of their products to try for free in return for a review…but I’m not very fond of posts where I just say “Hey guys, I tried this and it was nice.” I’d rather give you a little meat to go with that review. This month, More Than Alive sent me two types of loose tea: Coolmint and Sweet Sleep, along with a ½ pound of their Cane Creek coffee to try. So, I thought it would be fun to do a little post and let you know there are various options for brewing loose tea. Most people don’t bother buying lose tea – they just buy tea bags that are already filled…I know I do. But the truth is, loose tea is usually fresher and of better quality. I could immediately tell that the tea from More Than Alive was HIGH-class stuff and very fresh…I almost felt too “country” to brew it. 😉 But the truth is, country people love tea….just put some sugar in there. Ha! Disclaimer: I don’t like tea. I’ve never liked tea. I have to force myself to drink it. So, Barry did the taste testing for this particular review and he really enjoyed the tea. He said he could tell it was good quality and it was a lot better than the bags I buy. The first way you can brew loose tea is by using your coffee maker. My mom told me this one and I felt like smacking my forehead. Well duh. 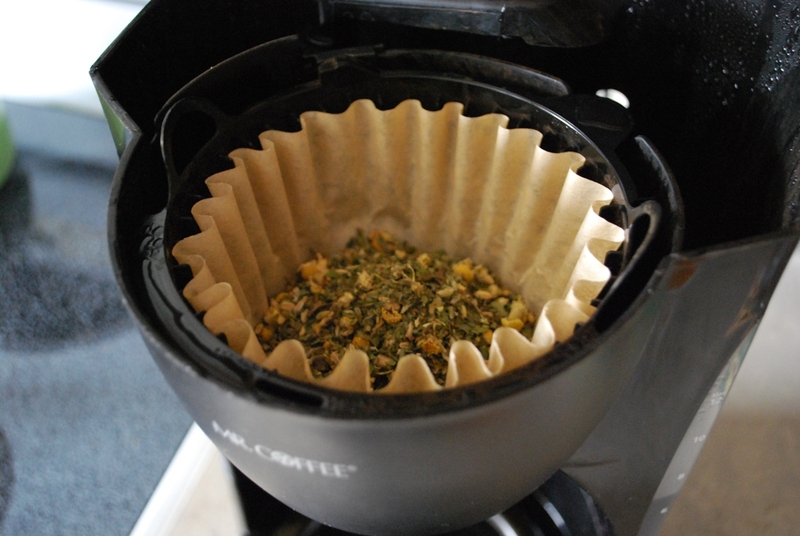 To brew, simply but a coffee filter in the brew basket and add your tea. Since the tea won’t sit in the water like in other brewing options, you’ll need to add more leaves – about 1 tablespoon per cup of water. Turn on your coffee pot and VOILA! Genius I tell ya, genius. NOTE: You should store loose tea in a cool, dry place. Make sure you use an airtight container. Do not refrigerate. If you simply must have your tea in a bag, you can make your own tea bag! 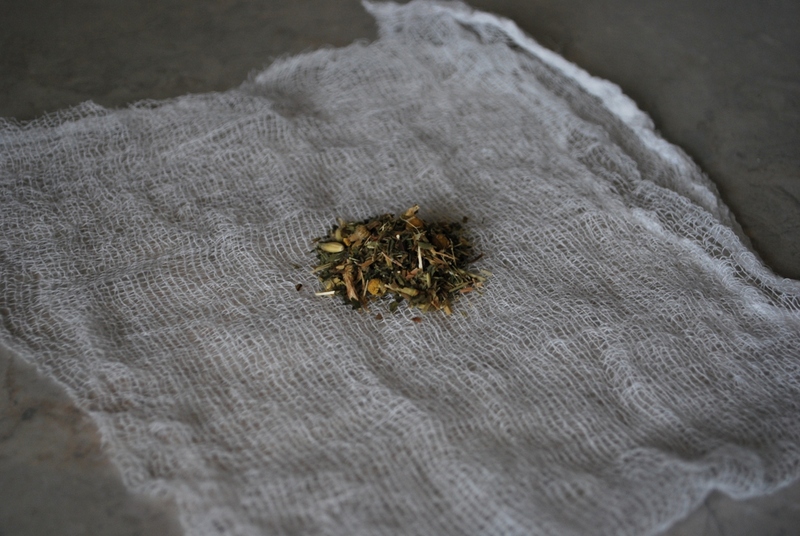 Cut a square of cheesecloth and put your loose tea inside. Tie up the bag, add it to a cup with your hot water and let it brew for several minutes. Make sure to reuse your cheesecloth! 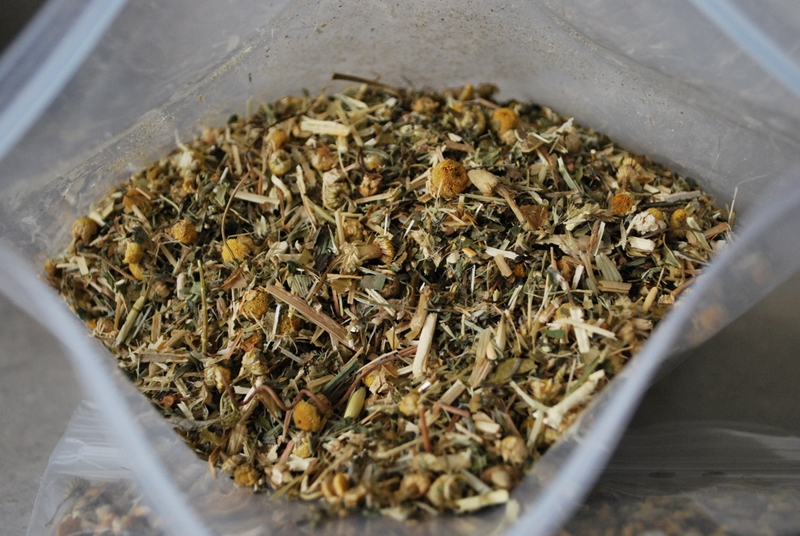 Conventional wisdom says you’ll need 1 teaspoon of loose tea per 8 ounces of water. If you don’t feel like making your own tea bag, you can actually buy empty tea bags off Amazon. Isn’t that just genius? This is my favorite way to brew hot tea…in a tea ball. This one is from Ingles and it set me back less than $5. I love it. It makes things SO much easier. You just add your tea in there, put the lid on, add the water and tea ball to the cup and VOILA! It’s a miracle. A tea ball miracle. How long should you brew? If you brew less than 3 minutes, you’ll get a very light tasting tea. For regular strength you need about 5 minutes of brewing time and if you want it STRONG then you need to brew for about 8 minutes. 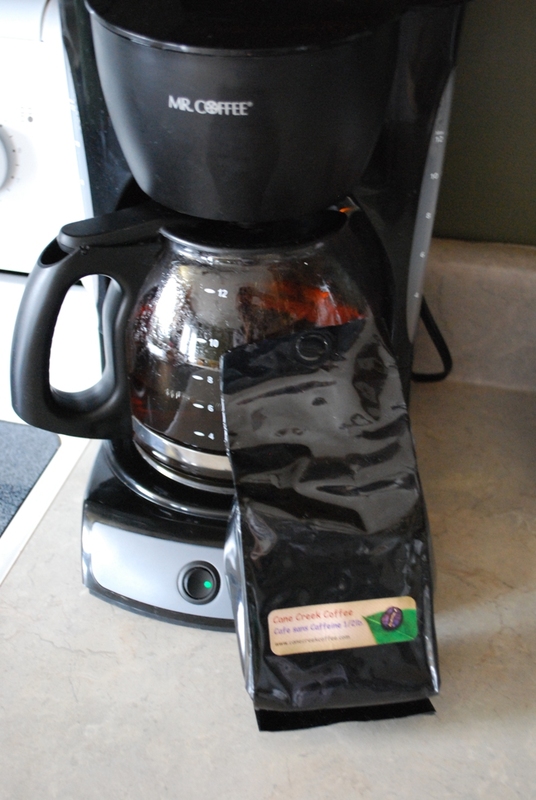 I was also sent an AMAZING ½ pound of fresh coffee (Cane Creek Café Sans Caffeine) to try. Ohhhhh baby! I could tell immediately it was high quality coffee and had only recently been ground – a true treat! (I need to get a coffee grinder.) Barry enjoyed this immensely because I have recently been fixing him instant coffee in order to get it out of the pantry. Sorry honey! I just wanted to keep my head stuck in the bag all day so I could make sure to savor the awesome coffee smell. I’m primarily a coffee drinker that has started trying out some herbal teas at night to help me sleep. The concept of “loose tea” is kind of intriguing to me so after seeing some of these suggestions, I’m just … DUH!! Especially the wrapping up in a coffee filter. From the point of view of a husband’s side. I also have 3 home schooled kids and a hectic lifestyle. Lifestyle???? Work-style…. Enjoying your time with the kids, and instilling that love in the hearts of your kids is the most important thing. I used to work too much with the priority being to provide financially. I’ve come to the realization that regardless of how well I provide, financially, it will never have the same impact as providing for their needs. I love the article, observing the same rituals that we do, and the clean humor that feels right at home. Keep it up. Thanks for this post, Stacey! I just now found your blog! I would like to add that I am a huge fan of using light agave over honey or sugar to sweeten my tea. You get a “soft”, mild sweetness. I can’t do artificial sweeteners as they make me gag!!! I am sitting at home sick as a dog with a nasty cold and just brewed a cup of “blueberry bliss”. It comes loose at “Teavana” in our local mall. They have a great selection of high quality loose tea, and you can even mix the varieties to make your own custom favors. I don’t have a tea ball, but used cheesecloth instead, as you suggested. Turned out perfect!!! LOL I have a tea ball that I have never used for tea. I use it for the loose spices when I am cooking/canning for easy removal. Love that little thing! Tea never stop giving good benefits in the body. It promote clearer thinking and enhance normal flow of the blood. It helps to lose weight and lower blood pressure. I can relate with you , Stacey. I didn’t liked tea either. But as I kept drinking it, I developed the tast for it. I brew mine using a coffee maker and tast well. My package came in the mail today. It smells so good and I can’t wait to try it later! Thank you! I have always wanted to try making sun tea, and have never tried. It’s going to happen this summer! 🙂 Sun Tea is Barry’s favorite! I love those kind of filters! hey stacy, i’m sure enjoying your site 🙂 i love using a tea ball for loose tea. we’re HUGE tea fans here, i think we use like a gallon of honey a money on it… congrat’s on the upcoming baby and new house. how exciting! i mean a gallon of honey a month. my brain got stuck in rap mode or something – honey money ok…. g’nite! Thanks Wendy! 🙂 We’re really excited! I had never thought of all those different ways to brew tea – very interesting post! LOL I like people that tell it like it is. I have a tea ball but always forget to buy loose tea. I entered the giveaway but already sign up for your emails. You can still check that box….thanks for subscribing! Thanks for a give away! Honestly, I’ve never brewed tea leaves before! I’ve seen the tea balls before. Using coffee filters is a great idea! You should like quite a tea lover! It’s been a long time since I’ve had loose tea, but when I had it, I used a tea ball. I LOVE the cheesecloth idea, though! I’ve never tried to brew loose tea because I never knew how to do it…until I read your post. I think the best option for me is using a tea ball. Yes – they are super easy! Have you tried adding skim milk and/or honey to your tea? Growing up we would have tea parties with my Grandmother with her real china tea cups. She always put a couple sugar cubes and a small splash of milk in our tea. I still love it that way, but try to use honey now. I tried adding milk and stevia…and it’s likely just because I was sick that day, but it wasn’t my fave. 🙂 I’ll try again! I use a tea ball at home. My MOPS group has an annual tea, and this year we are using Tuffy Tea Steepers from The Tea Spot. The are really cool and come in different colors. Perfect for brewing pots of tea and individual cups. I only drink tea now as coffee makes me jittery and irritable. I have a tea (coffee) press that my daughter bought for me for my birthday. I still use my coffee pot to make the water hot just because it’s faster than using a tea kettle on the stove. I love tea and coffee! I really like herbal tisanes that have medicinal /health benefits. Sometimes, knowing that it is very beneficial can help you get past the different taste. I use both bags and tea balls. For coffee beans, I have used my blender to gring small amounts (in a canning jar screwed to my blender blade base) like a Bullet. Works for me!! I just got one of those mesh ball thingies and have been wondering what to do with it! I usually brew my tea by heating water in the kettle and pour it over the bag in my mug, and let it sit for 3-4 min. before I drink it. That’s how I brew bag tea too – works great! I really like the idea of using a coffee pot to brew the tea. I have one of the coffee pots that there is a reusable (washable) filter so getting the tea flavor out wouldn’t be a problem since I’m used to just popping it in the dishwasher at night anyway. Plus its great because I don’t have to purchase filters. I’m not a tea fan either but I’m trying to force myself to aquire a taste because some tea is so good for you. I’m also trying to offer it to my kids (caffeine free of course! ;D) because its better than other water-alternatives! We have the reusable filter too! Love it! I did use a tea ball until recentely. I purchased a tea brewer pot from Teavana with a Christmas gift card. It is a little plastic picher that holds 12 oz of water. You put your tea leaves in then add the water. When it has steeped to the way you like it you set the brewer over your cup/mug and it pours into you cup/mug. Definitely use the tea ball! Fresh tea leaves make the best tasting tea. I prefer using the strainer inside my cup. It makes it really easy, keeps me from getting a piece of tea in my mouth (I’m a texture person and it would freak me out) and I can adjust the amount/strength of the tea really easily. Besides, have you ever tried shoving tea into a ball? Maybe I’m doing it wrong but little pieces get out and it never seems to close right. I love hot tea and my preference its with the tea ball. For coffee, my husband had bought me a bullet blender for xmas. I found out it grinds coffee beans. I will never go back to buying ground coffee again. I personally grind it fresh every morning b/c it isn’t much trouble and the freshness and smell put me in a happy place. The coffee is just so much better. Also, my gma taught me if it is a little bitter, put a pinch of salt in it. Viola. Delicious. 🙂 I’m saving up for a grinder and French press. I didn’t like tea until recently. The only time I ever brewed loose tes was for clients at the Aveda salon where I worked. We used a tea ball. Wonder what made you like it? I would love to enjoy tea…. YUM! Tea and Coffee are my vices…and since I love them so much, this would be great!!! Sorry, pressed enter too quick – I usually use tea bags :-/ But my coffee is usually fresh ground and lovingly brewed with unbleached filters (seriously that’s the secret to a good brew and I see you use that too). When I actually get time to enjoy my tea, I brew it using a tea ball or this handy dandy little mesh strainer/tea ball thing that looks like a venus fly trap. 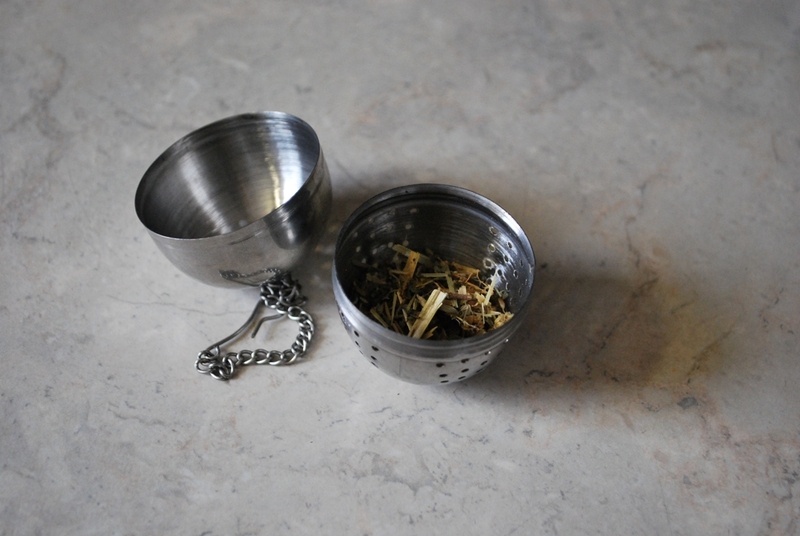 I really think the tea ball is best…it’s so stinking easy. We usually brew tea in a pot and then strain. We are trying to make tea a part of everyday life here! Thanks for the giveaway! I love coffee and tea! We are all tea drinkers and my sons and I try to have a teatime every afternoon. When we do use loose tea we use either a tea ball or a French coffee press. Sometimes we just put some in a cup and then strain it out. I want a French Press really bad!!! A tea ball is definatly the nicest way to prepare loose tea! Unfortunately I am not a tea drinker but do enjoy coffee. It has been so long since I bought fresh coffee beans to grind. They are expensive! They do make a much better, fresher cup of coffee. Not exactly top on my list of items I can budget for at the moment. By the cup. I have a fancy dancy cup that has a tea strainer that is made just for brewing loose leaf tea. I do enjoy my tea. I love my coffee,first thing in the morning and it’s either tea hot or iced or water the rest of the day…..I brew gallons of ice tea using the coffee maker and cups with the tea kettle, I use both the Tea Ball and the tea bads depending on the tea. I found really inexpensive all stainless tea balls in varying sizes at my local Oriental Market and the prices were excellent! I love tea! I brew me a cup almost every afternoon. 🙂 That doesn’t surprise me at all. You seem like a tea lovin’ gal. We have a teapot that has a mesh basket in it with a plunger, something like a French press. It does a pretty good job. I had no idea they made a french press for tea. Cool! I LOVE drinking hot tea in the winter. And since I live in Northeast PA (NEPA), that is a long time. 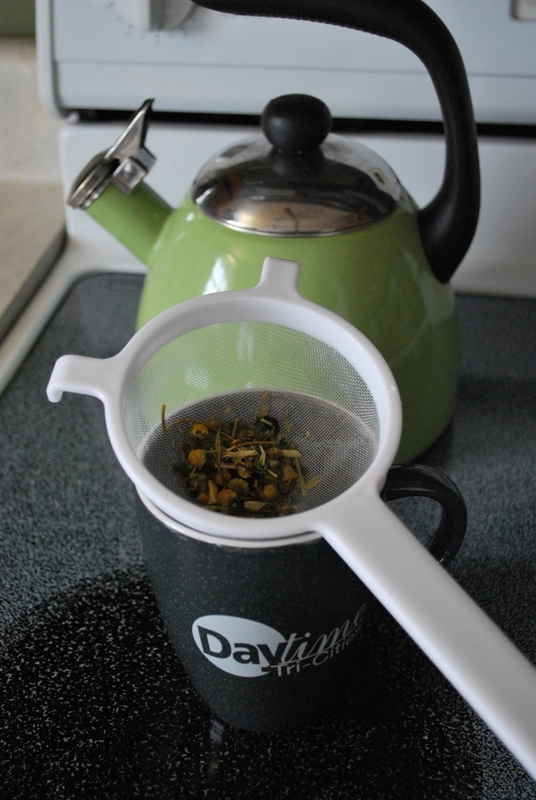 I use my Sunbeam Tea Drop tea maker. I usually brew in my measuring cup, then strain it through a tiny tea mesh strainer. However, for his birthday, Jerm got these 2 big glass mugs that have strainers and lids to fit to use for tea brewing. Those are fun, too! Wow….that sounds cool. I just made a HUGE mess when I tried to strain it. Figures. That’s pretty similar to the last method I posted….but I try not to put anything but water in my tea pot…because I use it for coffee. LOL Great tip!! Of course, being born in America I use good ol’ tea bags! I use a tea ball. Works great. Sometimes I boil then strain. Love your blog & the ideas you post! Cannot remember how I found you (Pinterest, I think) but am glad I did.